PITTSBURGH—For the federal BRAIN Initiative to be successful, statistical research must play a role, according to a white paper from the American Statistical Association (ASA), written by a working group chaired by Carnegie Mellon University's Rob Kass. In response to calls from the National Science Foundation and White House Office of Science and Technology Policy, the ASA asked Kass, professor of statistics and machine learning and a member of the Center for the Neural Basis of Cognition (CNBC), to lead the working group in detailing the ways statisticians can contribute to this important new federal initiative. The BRAIN Initiative (Brain Research Through Advancing Innovative Neurotechnologies) aims to produce a sophisticated understanding of the link between brain and behavior and to uncover new ways to treat, prevent and cure brain disorders. Kass and the committee contend that meeting those complex challenges will require "scientific and technological paradigms that incorporate novel statistical methods for data acquisition and analysis." The many tools and techniques used in brain research — including neuroimaging, electrophysiology and anatomical methods — produce extremely large-scale data sets. The paper outlines the need for research and training in data analysis. "To realize their potential, new analysis and computational techniques are needed to optimize data acquisition; manage acquired data on the fly; screen and segment the data; correct for artifacts; and align and register data across multiple time points, multiple experiments, multiple subjects or different laboratories," the report states. Kass, a leading expert on using statistics in neuroscience, was motivated to lead the ASA BRAIN Initiative group in order to have "the opportunity to work with a group of accomplished statisticians with extensive experience in the brain sciences and to provide some guidance, especially to NSF as it develops its funding priorities connected to the BRAIN Initiative for the coming year." For more than 50 years, Carnegie Mellon researchers have been working to achieve historic breakthroughs in psychology and computational neuroscience to tackle multifaceted problems of human thought, such as how we solve problems, learn mathematics or make financial decisions, and how these thought processes can be improved. CMU research also includes a major effort in using neuroimaging approaches to understand these behaviors and how disorders like autism and dyslexia develop. Creating new analytical tools for the brain sciences has been a major focus of Carnegie Mellon's Department of Statistics over the past decade. The CNBC, a joint project between Carnegie Mellon and the University of Pittsburgh, is devoted to investigating the neural mechanisms that give rise to human cognitive abilities. The center will celebrate its 20th anniversary of advancing brain, computation and behavior through research and training this fall. For more information, visit http://www.cnbc.cmu.edu/. To read the ASA whitepaper "Statistical Research and Training Under the BRAIN Initiative," visit http://magazine.amstat.org/blog/2014/07/01/scientistsadvance/. Rob Kass, pictured above, is a leading expert on using statistics in neuroscience. 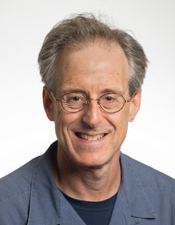 He was motivated to lead the American Statistical Association BRAIN Initiative group in order to have "the opportunity to work with a group of accomplished statisticians with extensive experience in the brain sciences and to provide some guidance, especially to NSF as it develops its funding priorities connected to the BRAIN Initiative for the coming year."